LG knows that its customers are constantly on the move as well as on a budget. People need convenient, cheap, and easy to use devices to keep with them during their busy lifestyle. 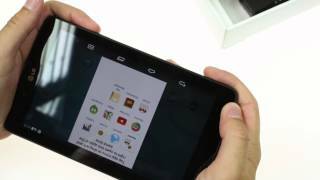 Last year when they released the Nexus 7 alongside Google, LG changed the way the world looked at cheap Android tablets. Normally products in this price range weren’t even worth considering due to hardware and software reasons but the tides have changed with the recent LG G Pad Nigeria release in July ,2014. The G Pad wasn’t designed to be exactly eye appealing but it does get the job done perfectly. The back is soft with a rubber coating that provides a nice grip and is easy to hold with one hand even in portrait mode. It weighs in at only .65 which is lighter than the iPad Mini but not as feathery as the Galaxy Tab 4 7.0 or Nexus 7. 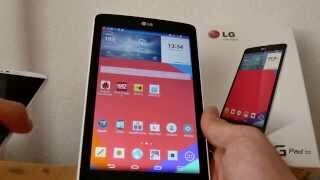 Being a direct competitor of the Nexus 7, LG has greatly beat their price although there are reasons for that. The G Pad only had 8 GB of storage which is half that of the Nexus 7. To make up for this, a slot for a micro SD card was integrated into the device for a cheap option to gain more storage. The display on the G Pad is a little lack luster, missing the sharpness and ppi density of some other devices but it does have a 1280x800 screen and 1 GB of RAM. The rear facing camera on the G Pad is 3 MP which works great in during the daytime but in low light, it’s pretty much useless. This was a good way for LG to cut back on price and still keep the other features up to standards. Thankfully, most of us have a high quality camera on our smartphones which are typically right in our pocket anyways! One of the best parts about using a tablet versus a smartphone is the gameplay on apps. Having everything larger makes playing games easier, but we are often reminded with larger tablets that these apps were originally designed for a 4” phone. Thankfully with a 7” tablet, these reminders are less frequent and do not often hinder usage. One of the most useful features on the G Pad is the unique universal remote control app which works for many different types of TVs and cable boxes. There is also the attractive Q Pair 2.0 feature which allows you to connect your tablet to any Android Device. This way you can receive calls and texts on both devices which can come quite in handy. 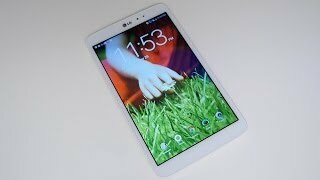 For the LG G Pad Nigeria price, it is an absolute winner. It’s nothing flashy or unique but it gets the job done everywhere it matters. It has good specs, is easy to hold and there are some unique apps as well. Of course the main reason to purchase this tablet over any other device would be the price. This tablet is perfect for any digital book reader, watching movies on the go, or having a secondary travel device. 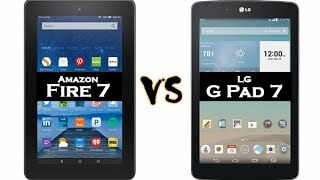 The g pad 7 Tablets & EReader is manufactured by LG and was added around November 2016 and is part of the LG G Pad 7 series. This version of the Tablets & EReader comes in Connectivity : Wifi , Display Size : 7 Inch , Device RAM : 1 GB. The model comes in 5 other variations including combination of Wifi Connectivity , 1 GB Device RAM , 7 Inch Display Size. 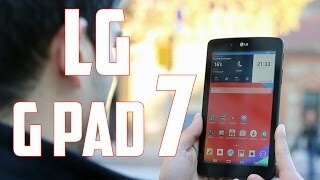 The best price for the LG G Pad 7 in Nigeria is ₦ 77000 sold at kara and available with free shipping and delivery within 2-3 days (5-7 days for heavy items). Price has increased 3% from ₦ 74500 on 2016-11-14 to ₦ 77000 today.